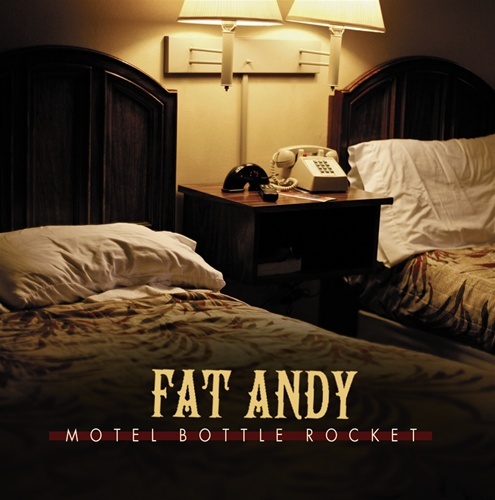 Ask any of the five members of Fat Andy where the band’s name comes from (although they are quite large for a rock band, none of them are fat or named Andy) and you will likely get five different stories. “We choose to let it live in legend,” lead singer Will Petersen says mysteriously. What is not a mystery is how the band came up with their unique sound. 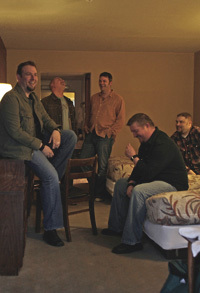 From playing trumpet with Jerry Lee Lewis to rapping with a folk rock band to playing heavy metal in high school, the boys of Fat Andy bring a variety of musical experiences to the group and recording studio; those experiences culminate in something they concisely call Americana Folk Southern-Alt Country Rock. When the band formed in 2001, they were mostly doing cover songs. The transition to writing original music happened organically, says Petersen; when they started jamming as a band, the first song just flowed out of them. Realizing that they were on to something, they kept writing.